There is a famous quote that is often attributed to P.T. Barnum, the entrepreneur of Barnum & Bailey Circus fame: "There's a sucker born every minute." Though widely believed to be so, Mr. Barnum never spoke these words. According to scholarship on the popular saying, the phrase might have originated with another con-man, or more likely, with one of Barnum's critics. Nonetheless, the statement was readily taken for fact because it appeared to reflect Barnum's M.O. of aggressive promotion and questionable marketing tactics. Barnum was one of the first of his kind—a free-wheeling salesmen who would promote one of his attractions by, seemingly, any means necessary. 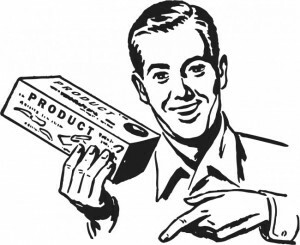 Today we associate these types with "snake oil peddling" and outright "spam." Though he denounced inauthentic diversions later in life, Barnum was certainly not above promoting hoaxes during the bulk of his career. In some ways, America's distinct brand of commercialism venerates figures who devise ways to "get one over" on an unsuspecting public. Think about how popular films like The Wolf of Wall Street or Catch Me If You Can or the Ocean's 11 series are. Americans enjoy a charismatic criminal. 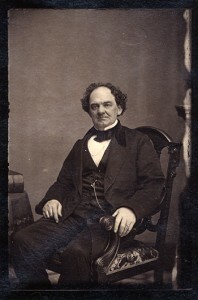 Barnum became celebrated even in his own time—his autobiography was the second-best-selling book of its time, behind only the Holy Bible—and certainly after his death. Though America is hardly the only place in the world where scammers have had success, these acts of subverting the public trust to make a buck hold a strange allure in our cultural memories. Leaving the equivocal Barnum aside, the following three men set the bar for the art of the scam. Large corporate frauds like that of Enron or the worst-behaved banks of the financial crisis have been omitted because it's difficult to pinpoint such schemes on a single person. 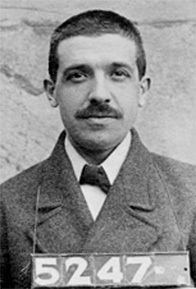 Born as Carlo Pietro Giovanni Guglielmo Tebaldo Ponzi, Charles Ponzi was a poor Italian immigrant who did not invent the "robbing Peter to pay Paul" scheme, but did put it to gratuitous use. For this reason, the scam has since acquired his name: Ponzi scheme. After a series of minor infractions involving theft or deception, Ponzi found out about international postal reply coupons. These vouchers provided a way to arbitrage national governments depending upon which state had more expensive stamps. However, such an arbitrage opportunity (technically legal) could only effectively be carried out in bulk. Ponzi had neither the economies of scale nor the desire to put the plan into action. It was merely the cover story he told investors to explain how he generated such unusually large returns. Ponzi was adept at the "confidence trick," whereby one convinces people something is true simply by appearing completely confident in it. Ponzi would often quell suspicion (and investor runs) by quickly and confidently paying investors (with newer investors' money, of course). This typically was all the proof people needed to continue to invest their money with him. At its height, it is believed that Ponzi racked up more than $20 million with his scam—equivalent to about a quarter billion dollars today. Shortly after the plan unraveled in 1920, Ponzi would be in and out of prison for about a dozen years before finally being deported to Italy: naturally, he had never bothered to obtain American citizenship. More sophisticated and notorious than Ponzi even was George Graham Rice, one of the many chosen aliases of a James Simon Herzig. Rice gained great notoriety for his prominence as a contributor for political campaigns and his wide array of scams. Rice really never got caught, though he was often in ill-repute, earning him the nickname "Jackal of Wall Street." In 1925, his estimated net worth was $100 million, which would make him a billionaire in today's dollars. Naturally enough, his autobiography was titled, My Adventures With Your Money. Among other money-robbing ventures, Rice was an early penny stock pumper. 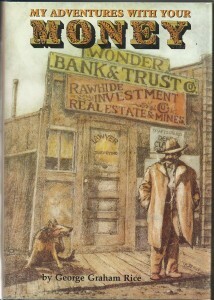 He'd publish fake newspapers that aggrandized the towns (which, in reality, were barren) where his fictional gold mining companies were located. He sold his fraudulent shares with get-rich-quick promises and primarily preyed upon people who were naive and poor. Ironically, he portrayed himself as a defender of the poor against the wealthy and powerful. With the lax rules about selling investments or investment advice of the time, Rice largely got away with his scams. He is often credited (in part) for the rampant and shady practices of the booming 1920s Wall Street. Bernard Madoff crafted his own Ponzi scheme, really adding nothing of value to the one popularized by Ponzi himself almost a century earlier. So how did Madoff get away with what is regularly touted as the "greatest fraud in American history," at least in terms of total dollars? 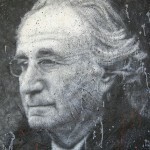 Simply enough, Madoff merely had the world's greatest confidence game running. From about 1992 until he was caught in late 2008, Madoff was repeatedly investigated for (at minimum) fudging the numbers—still a federal offense and bad enough to have his CFP accreditation revoked. In every case, important players in the investigations ignored their scruples and just trusted Madoff's word without even checking his books. Madoff himself admitted that they would've immediately "known everything" once they saw his numbers. Madoff's scam was remarkably inelegant, merely making up fake performance charts to assure any investor that got too curious about how much money they had accrued. Like Ponzi, Madoff infrequently had to pay out some clients to keep up the charade. The profits these unsuspecting investors made had to be repaid in later class-action suits, though none of the unwitting beneficiaries were held responsible. Through confidence tricks, pump-and-dump schemes, and the intentional use of confusion and obfuscation, these men proved to be three of the biggest swindlers of the 20th century. By simply building networks of "friends in the right places," benefiting from lax oversight, and relying upon their personal charisma, they were each successful for remarkably long periods of time. Strangely enough, both Ponzi and Rice were seen by a considerable portion of public as defenders of the little guy and proponents of the poor—even as they robbed people blind. Madoff never enjoyed this perception; he was exclusively associated with the elite, although most of those hit hardest by his scheme were ultra-rich to begin with. Nonetheless, American culture oddly aggrandizes swindlers. We're drawn to their charisma. We seem to celebrate the ingenuity behind tricking people. Maybe we even like the idea of imbeciles being duped—"a fool and his money soon do part"—but the swindles of Ponzi, Rice, and Madoff sometimes harmed the well-informed and the ignorant alike.